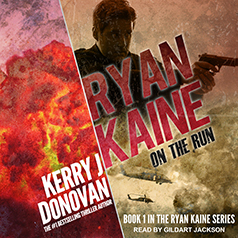 #1 Amazon bestselling author with the US-based Lucky Shores romantic suspense series and the Ryan Kaine action thrillers, and creator of the popular DCI Jones Casebook crime novels, Kerry J Donovan was born in Dublin. Read Now For FREE in KU! pick up one of Kerry’s 13 (and counting) books today! Reader Reviews: Praise for Kerry’s Books. I absolutely adored this story. I loved the plot, I loved characters and I loved the use of the British vernacular which kept me aware that the action was taking place in the UK. The suspense was spine tingling and some of the scenes were so unexpected I would gasp out loud! This author always writes an interesting and enjoyable story which keeps me wanting more! 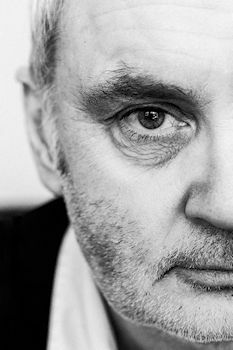 Outstanding, Mr. Donovan. Another brilliant Ryan Kaine thriller! This was quite an enjoyable read, and I had such a tough time putting it down I just plowed through in one sitting. Lots of action, just the right amount of weaponry info, and a great deal of development between characters. I really appreciated the depth almost all relevant characters were given (which adds an extra intangible and gives a story balance in my opinion). There has been a proliferation of novels spawned by Jack Reacher, many of which are long on killings per page and short on writing skills. Ryan Kaine: On the Defensive does not meet either of the above criteria. It is a superb story crafted by a terrific writer. Without spoiling it, I can say that it is exciting, enthralling, well-written and most importantly has a feel-good ending. Join the 1000s of Satisfied Readers!